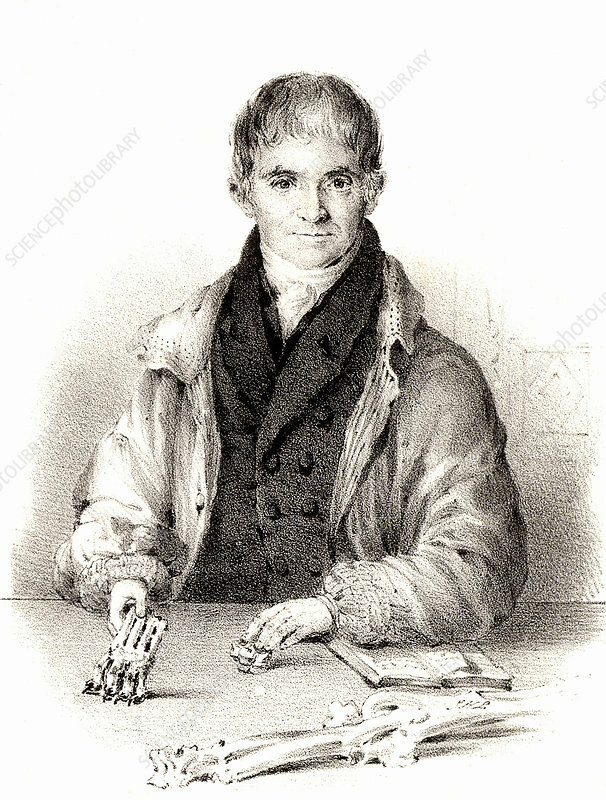 William Beard (1772-1868), English farmer turned fossil collector from North Somerset. In the 1820s workmen broke through into the Banwell Bone Cave. Between then and about 1840 Beard collected thousands of specimens of fossilised animal bones and his collection is now in the Castle Museum, Taunton, Somerset. He was sponsored by George Henry Law (1761-1845), Bishop of Bath and Wells, who considered the finds to be proof of Noah's Flood. Beard at 57, lithograph from Delineations of Somersetshire by John Rutter (Shaftesbury, 1829).